The United States stayed alive in the tournament by picking up an 8-6 win over Japan in another evening session game. 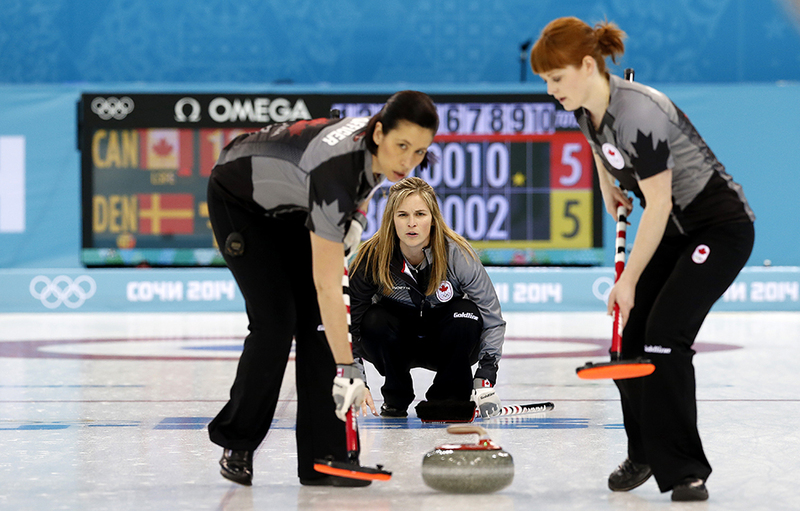 SOCHI, Russia — Canada moved to the brink of the semifinals in women’s Olympic curling by beating Denmark and Switzerland on Thursday to remain undefeated after five games of round-robin play. Sweden is just one win behind the Canadians after stealing a point in the final end to beat Denmark 7-6. The United States stayed alive in the tournament by picking up an 8-6 win over Japan in another evening session game. Erika Brown’s rink is 1-4 and still could qualify by winning its final four games. World champion Britain was under pressure after losing two of its first three games but beat China 8-7 in the morning session to revive its chances of reaching the semifinals. Canada won both of its matches 8-5 to top the standings outright.